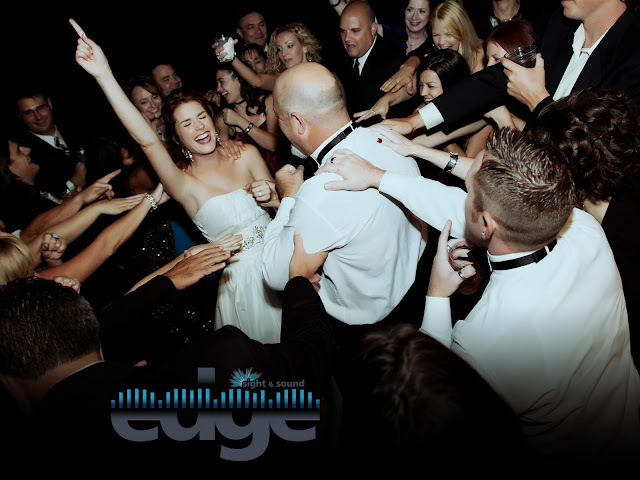 Edge Sight and Sound - your events. our passion. : Tulsa Wedding DJ for the Wheeler/Huggins Reception at the Hard Rock! Tulsa Wedding DJ for the Wheeler/Huggins Reception at the Hard Rock! We had the pleasure of being a part of the Keisha Wheeler and Denny Huggins Wedding which was held at The Hard Rock Casino and Hotel in the Sky Room on the 18th floor. What a beautiful place to hold a wedding reception and what a view! The enitre family and their friends took part in every part of the reception from enjoying the delicious cake to the funny photos in the photo booth and of course dancing! Thank you Keisha and Denny for letting Edge Sight and Sound be a part of your special day and once again congratulations!